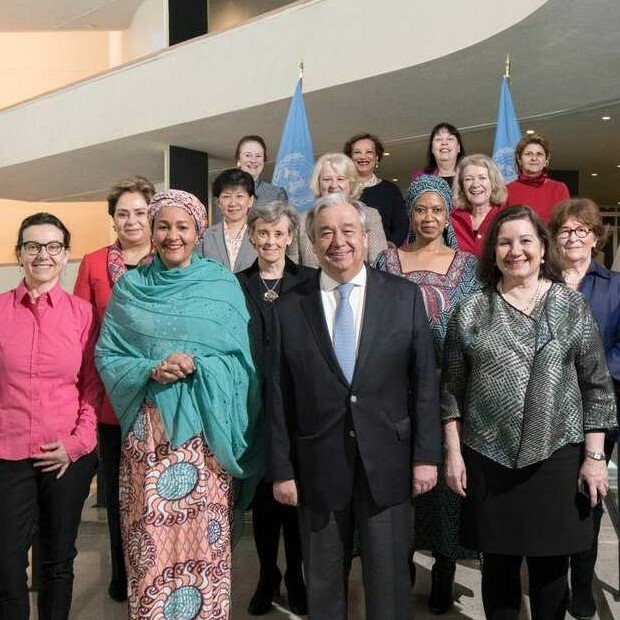 New York, 3 March 2018 - The gender parity threshold has been reached among United Nations senior leaders. This is historic! ” said UN Special Representative of the Secretary-General on Violence against Children, Marta Santos Pais. “Gender parity within the UN Senior Management Group bringing together leaders of United Nations departments, offices, funds and programmes, tangibly represents the UN’s commitment to genderequality and women’s empowerment across its work and priority agenda." This commitment is also strongly reaffirmed in the 2030 Agenda for Sustainable Development, including Sustainable Development Goal 5 (SDG 5) to achieve gender equality and empower all women and girls. “In our work to achieve SDG Target 16.2: to end all forms of violence against children, promoting a gender sensitive approach is of the essence," said SRSG-VAC Santos Pais. “Children endure different forms of violence and discrimination as a result of their gender, and prevention and response measures need to take the distinct risks they face into account. Girls may often be at higher risk of sexual abuse, while boys are more often exposed to gang and armed violence and physical punishment." "We continue to collect and explore data to learn more about gender’s role as we work towards ending violence against all children. But to be successful in this important journey, girls and boys, as well as women and men need to be part of the solution!"